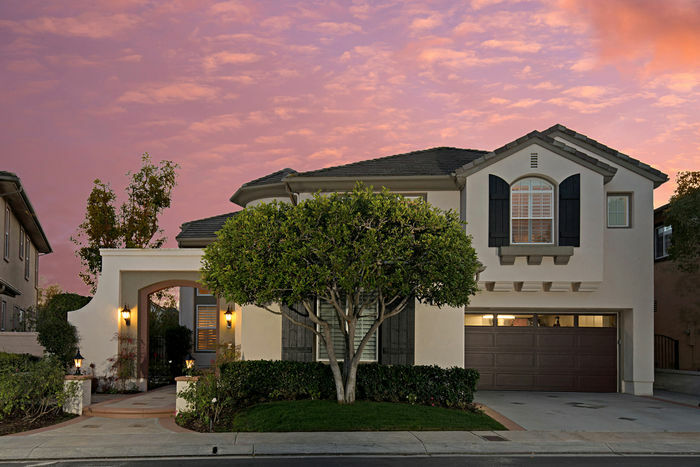 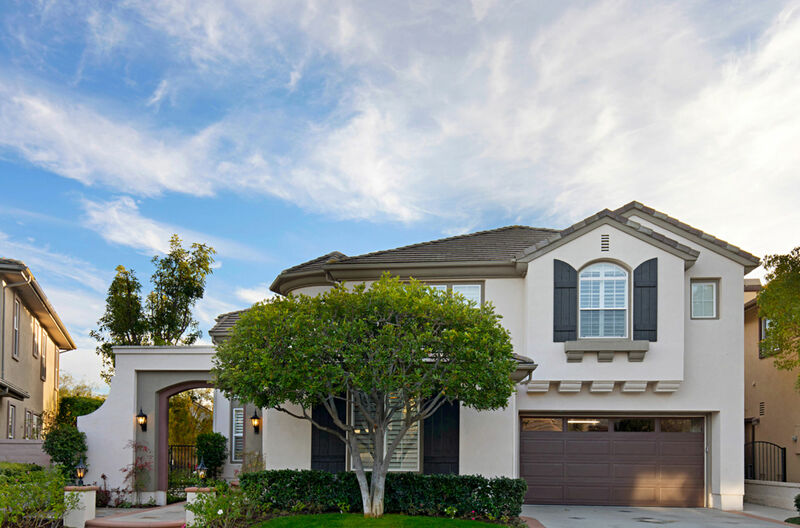 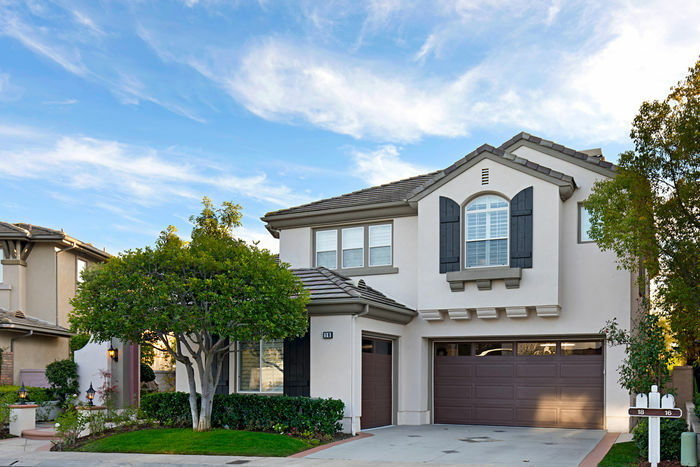 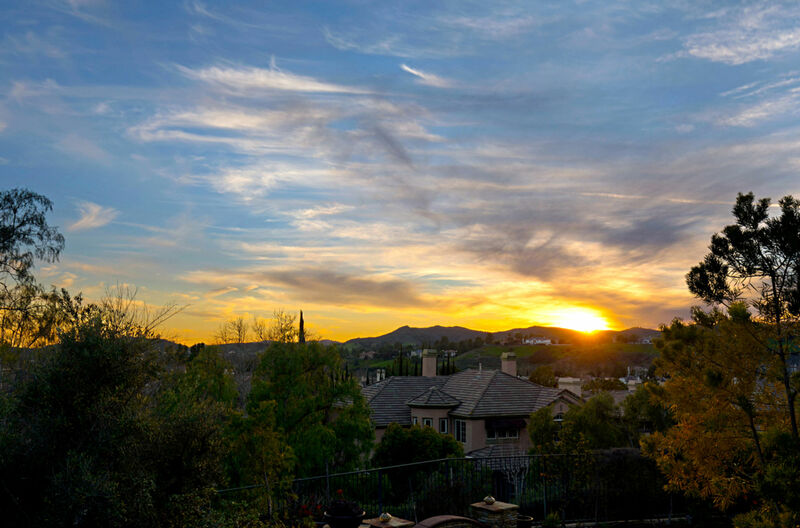 Brand new on the market 2/10/19, delayed due to rain and photos.California Lifestyle living at its finest! This home has it all; impressive entrance complete with built-in fountain. 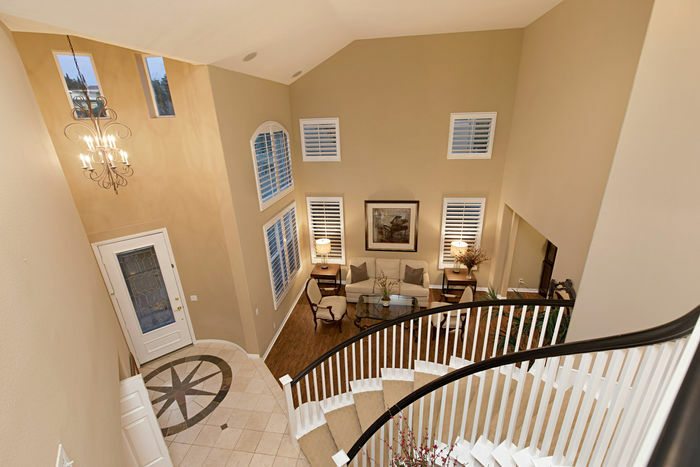 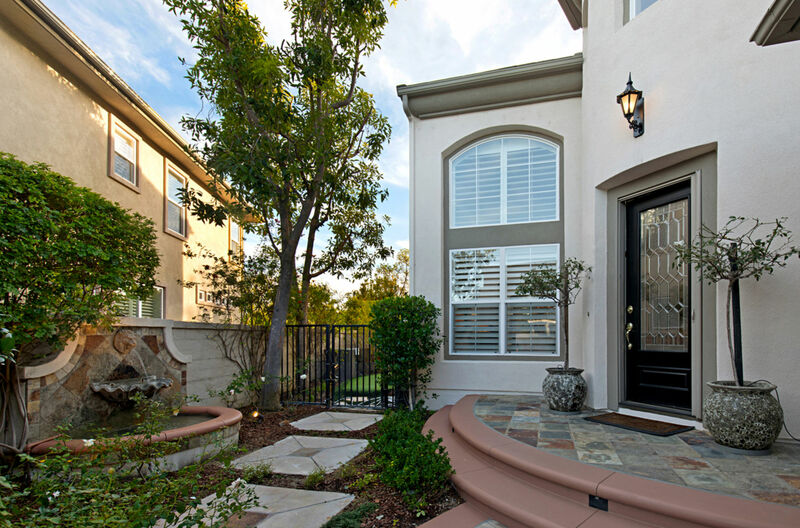 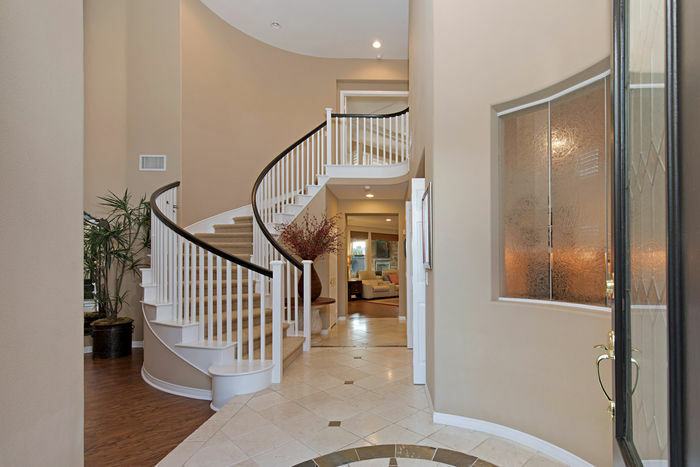 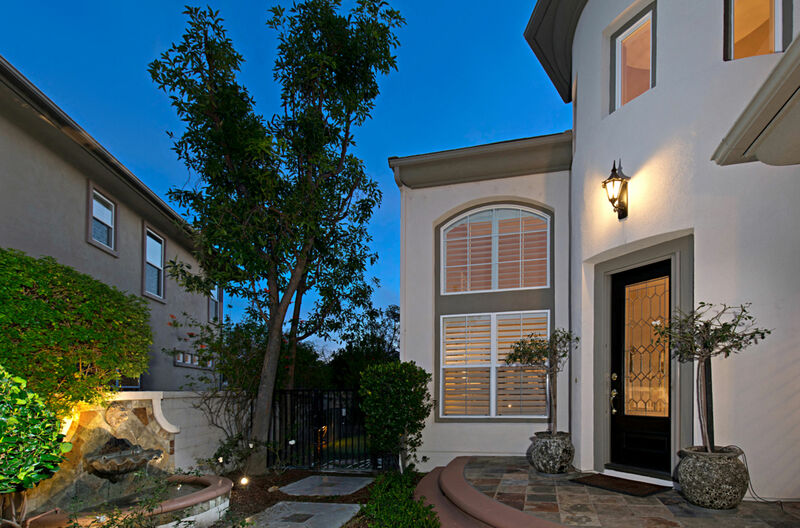 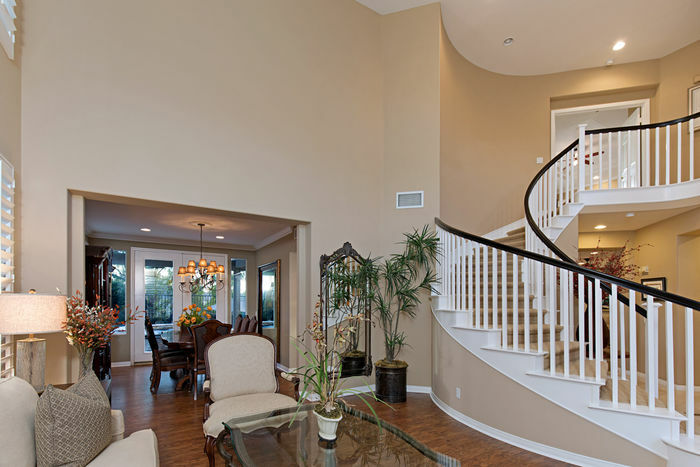 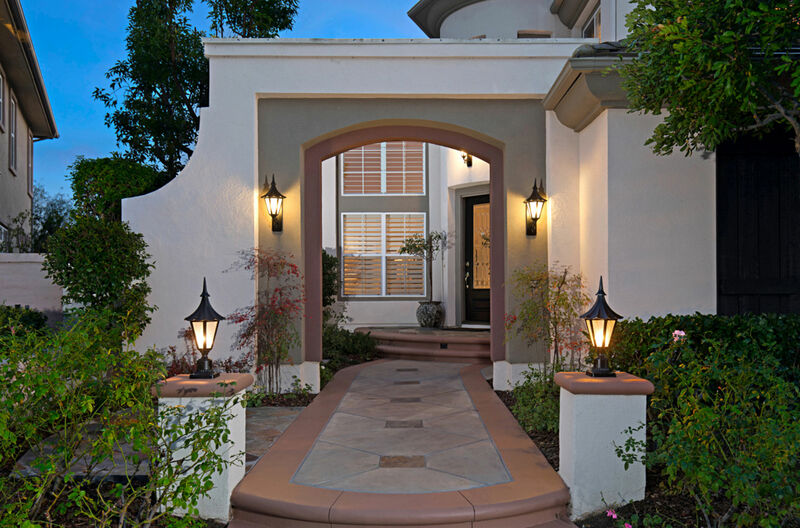 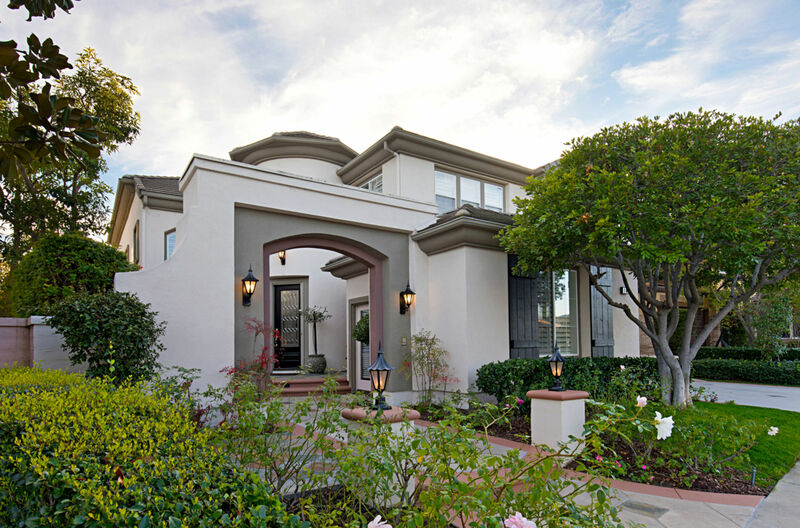 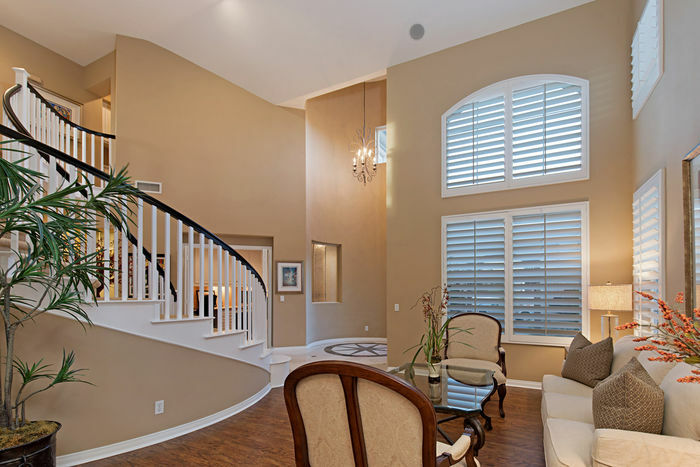 Welcoming entry with formal living room and dining room and dramatic stairway. 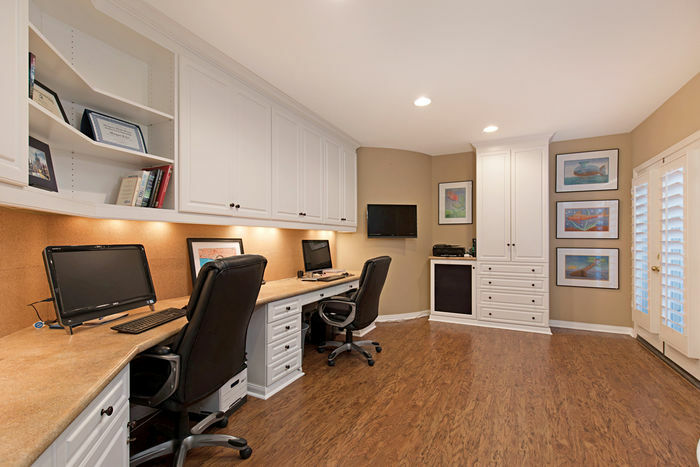 Large downstairs office (could be coverted easily into downstairs bedroom) with ample built-in shelving shows. 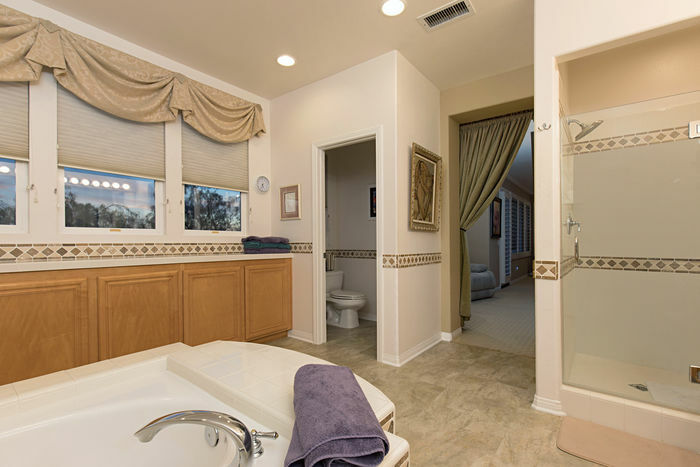 Downstairs bathroom w/shower. 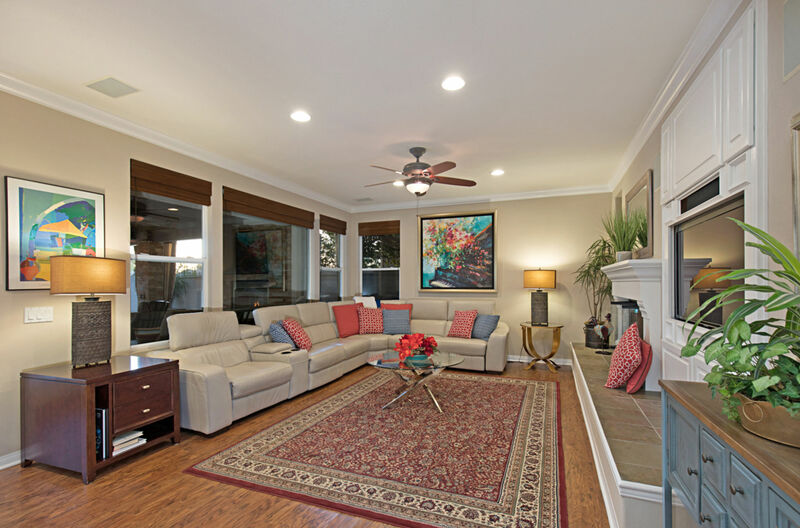 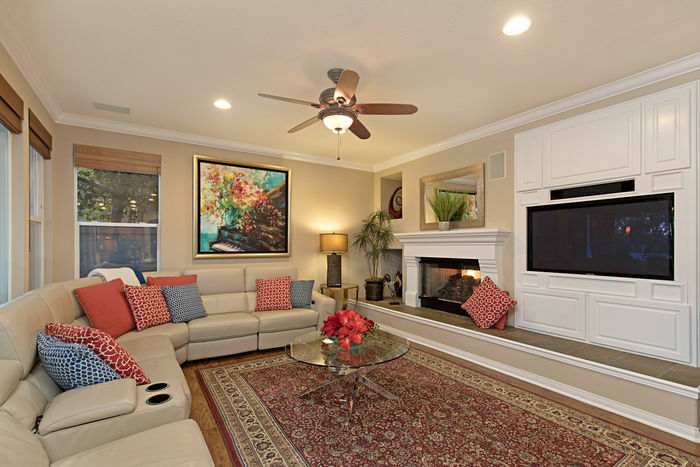 Large family room with warm fireplace. 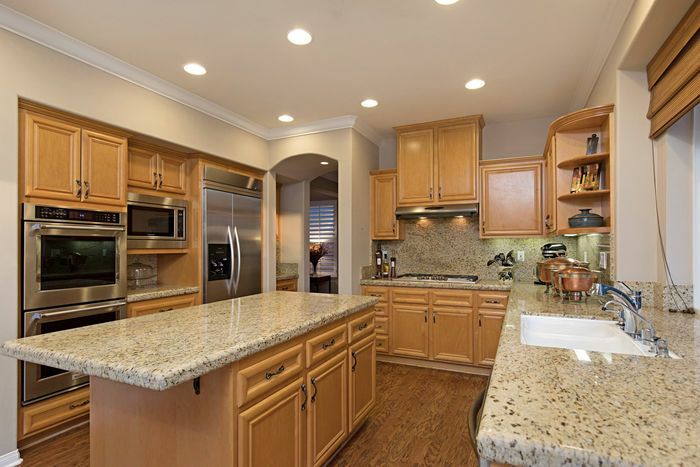 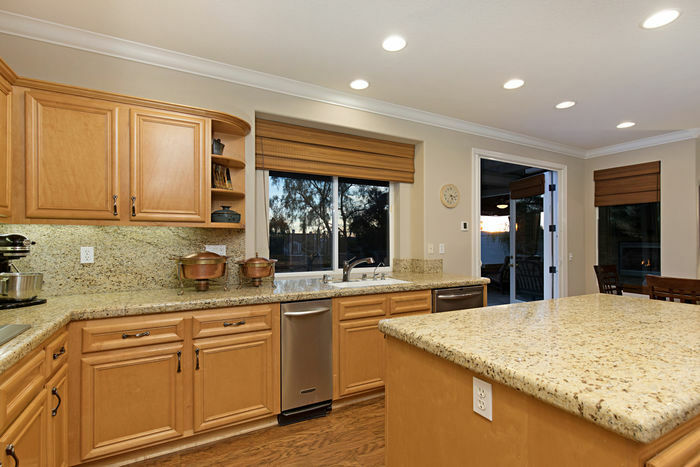 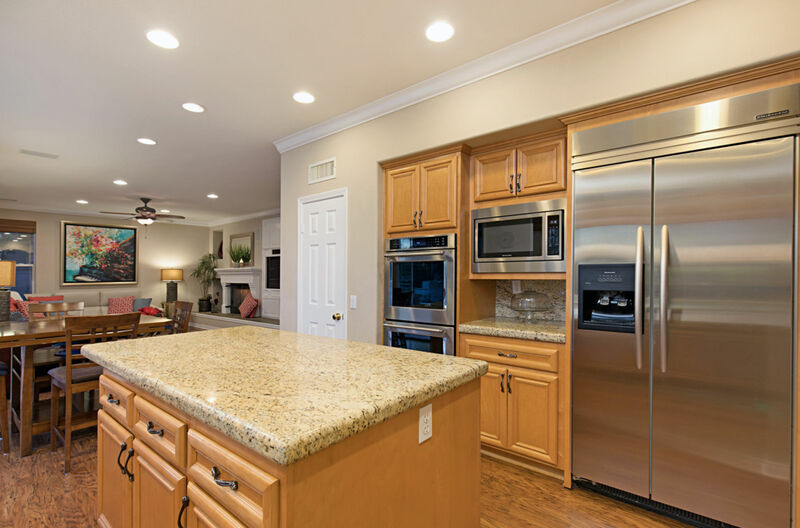 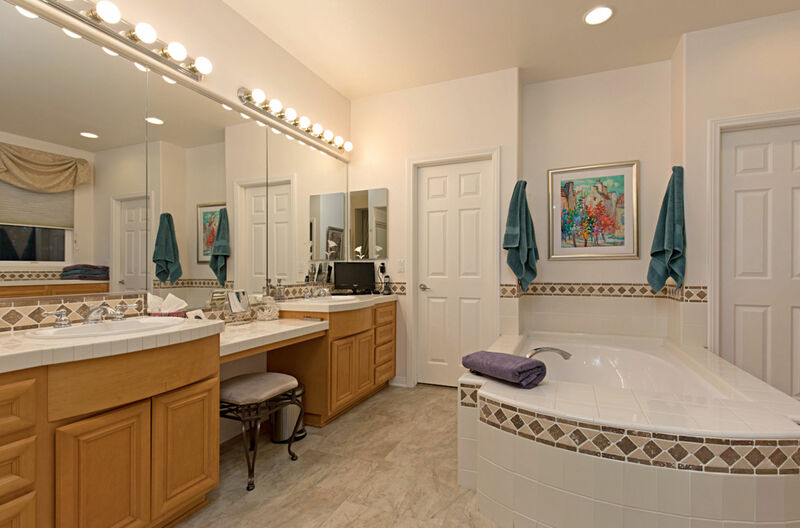 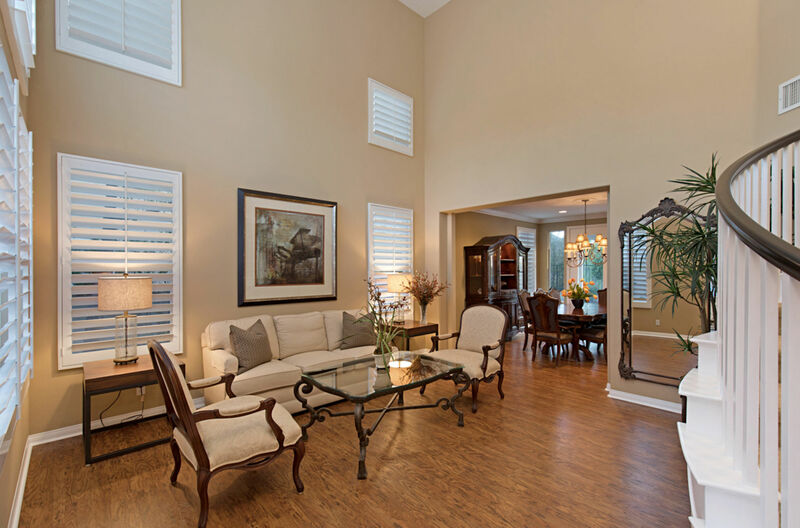 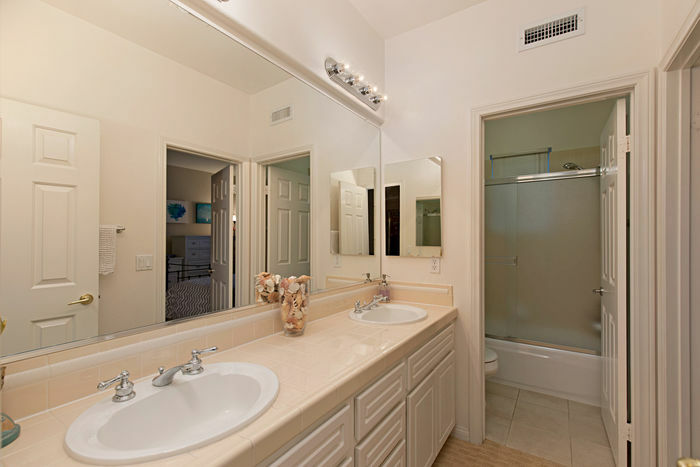 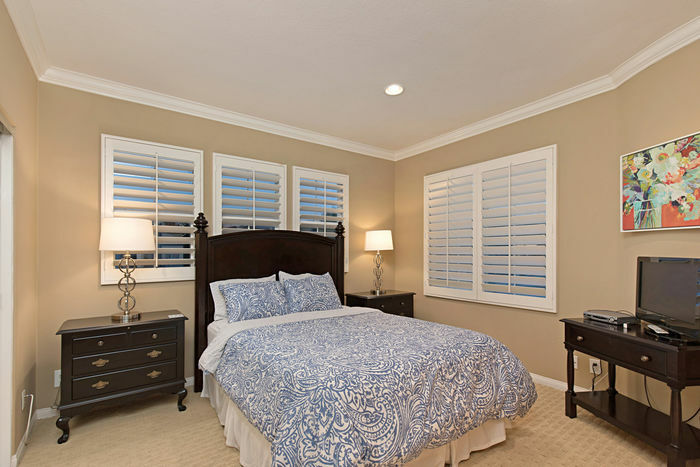 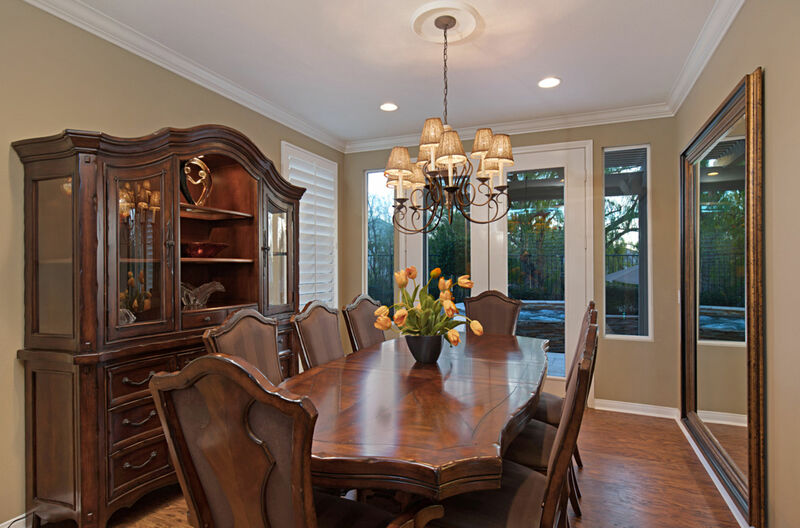 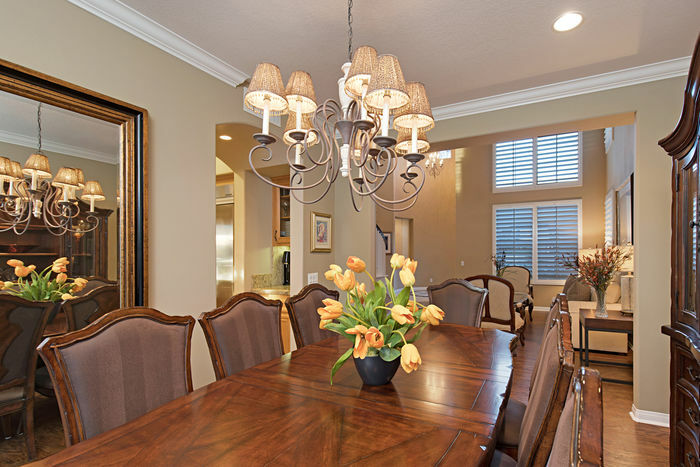 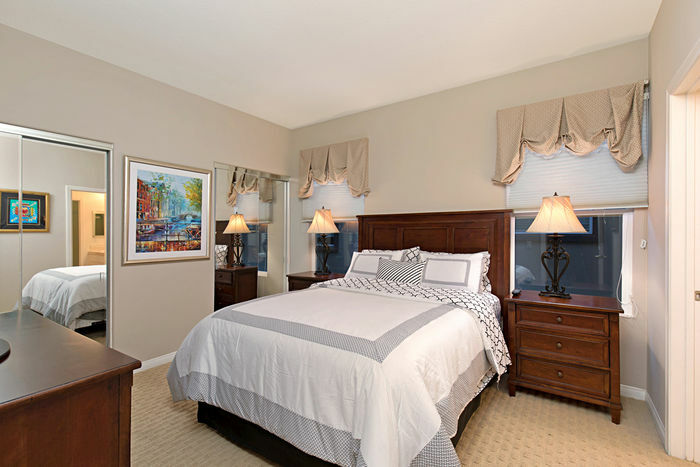 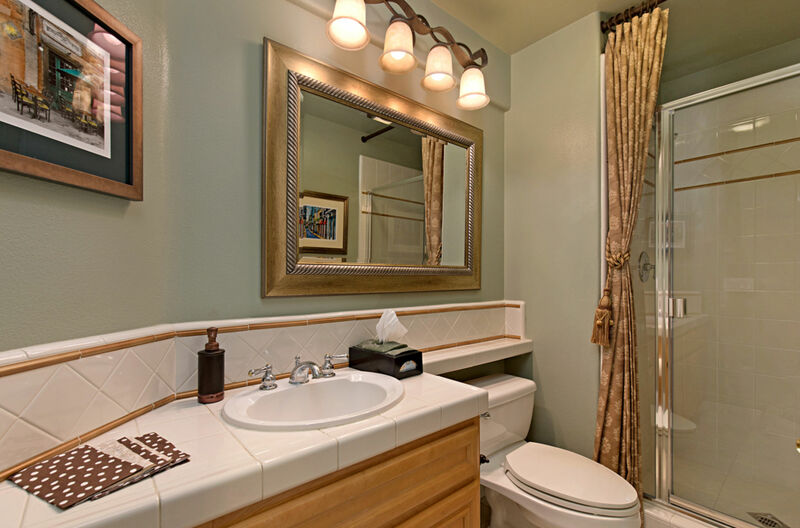 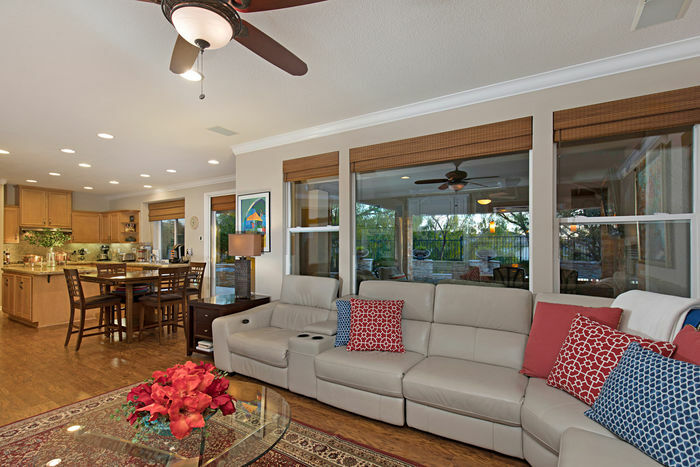 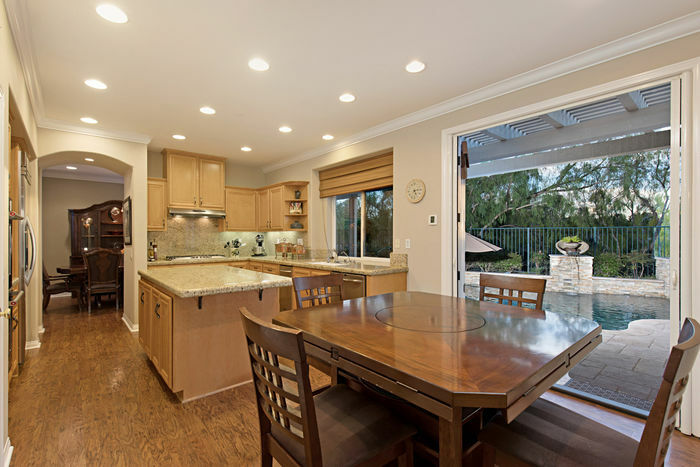 Kitchen features; large pantry, granite countertops , large kitchen island and upgraded appliances. 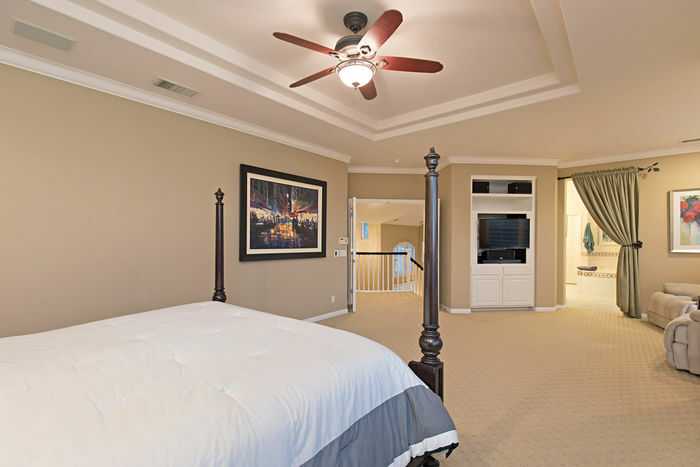 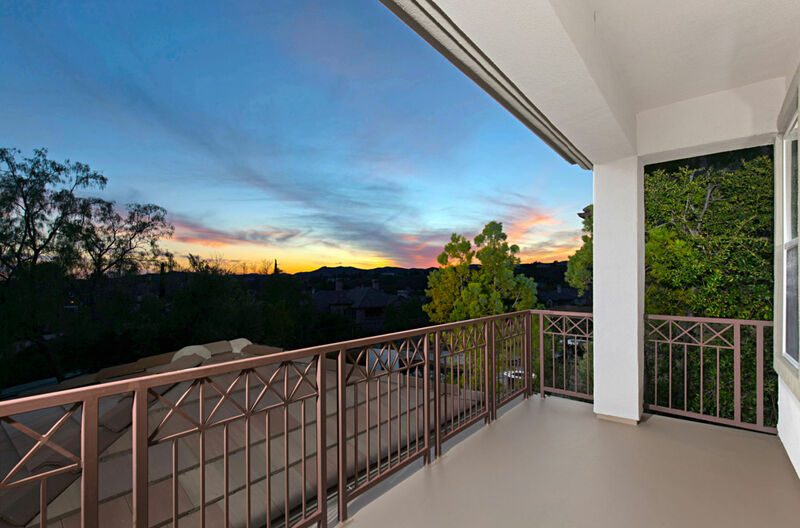 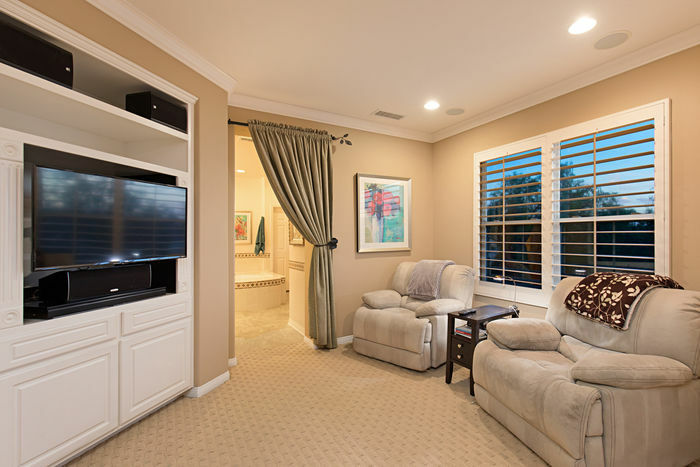 Upstairs features; winding staircase with upgraded carpet thruout, Large master suite with reading nook and view balcony plus Luxurious bathroom. 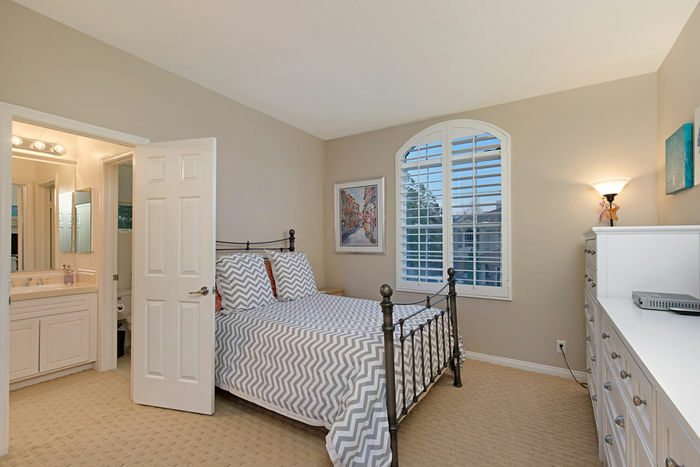 Additional upstairs; 3 ample bedrooms and 2 more bathrooms. 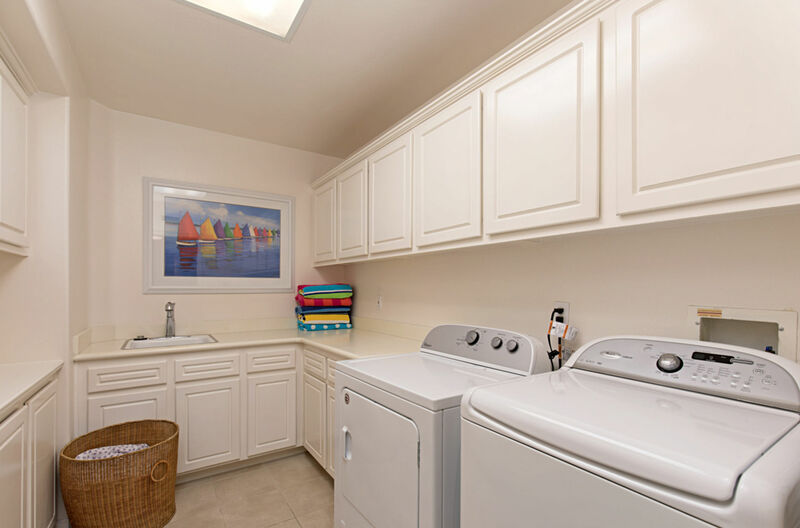 Large Upstairs laundry room. All interior is done in neutral calming tones. 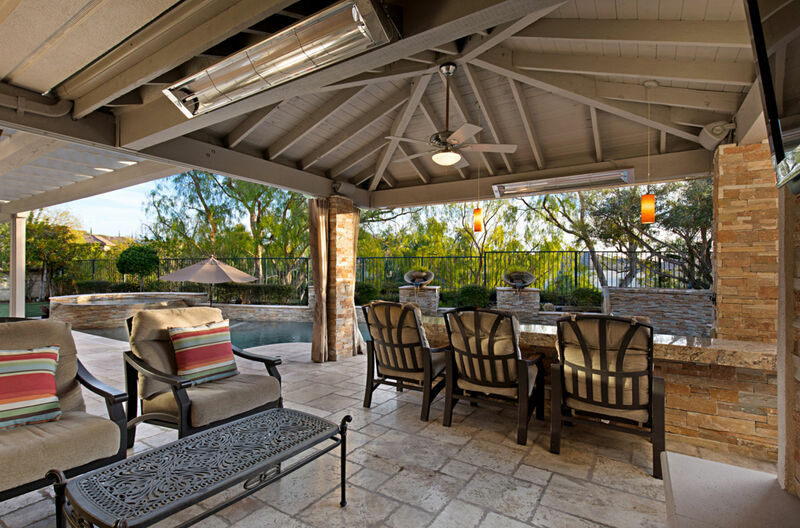 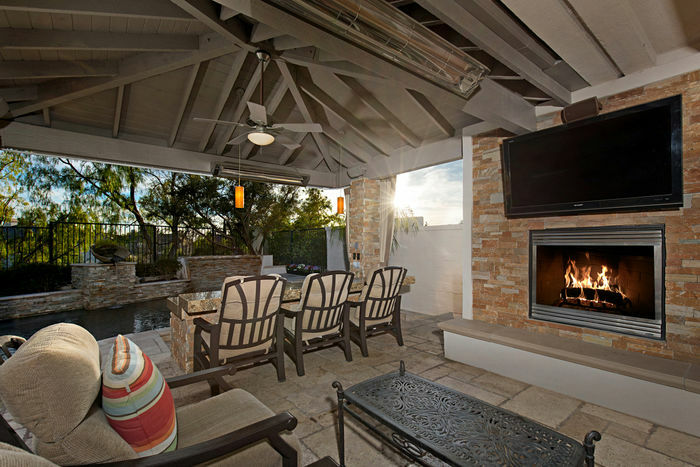 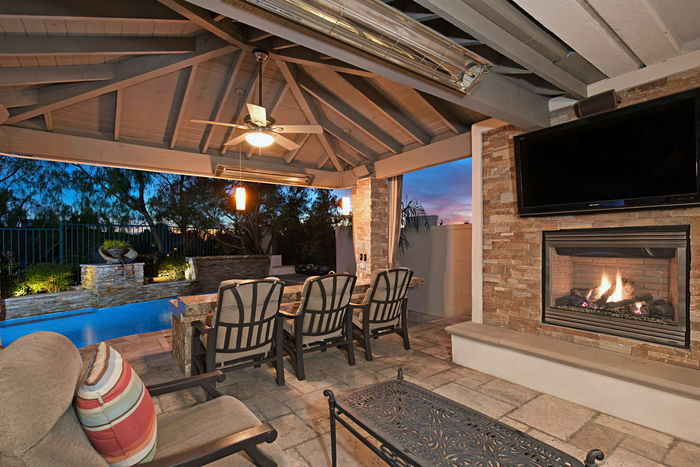 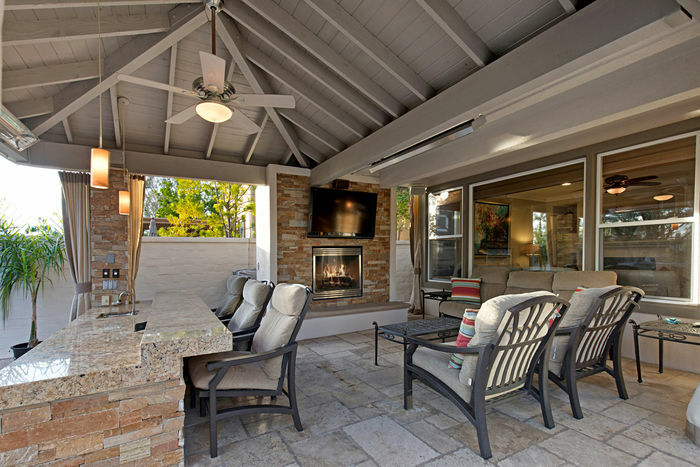 Backyard is exceptional with living area that can be enclosed with custom covers; featuring impressive fireplace, overhead fan and heaters, bar counter/area and seating for all, great for gatherings year round! 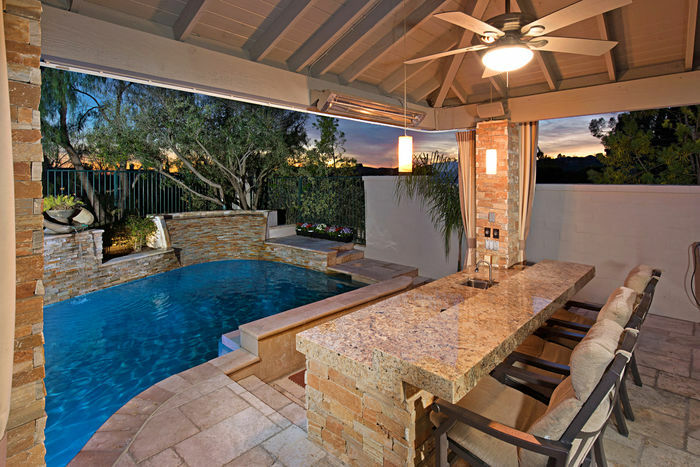 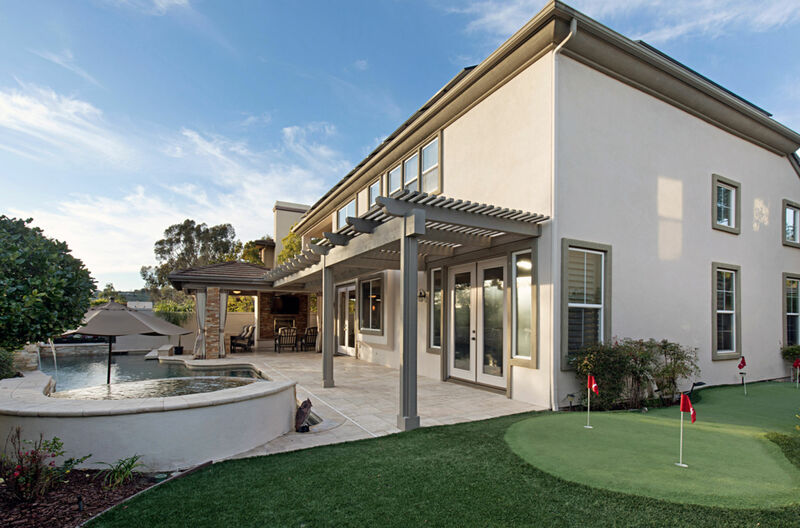 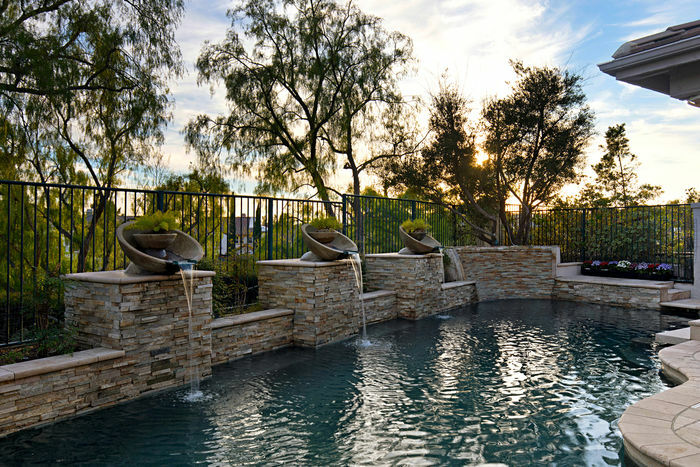 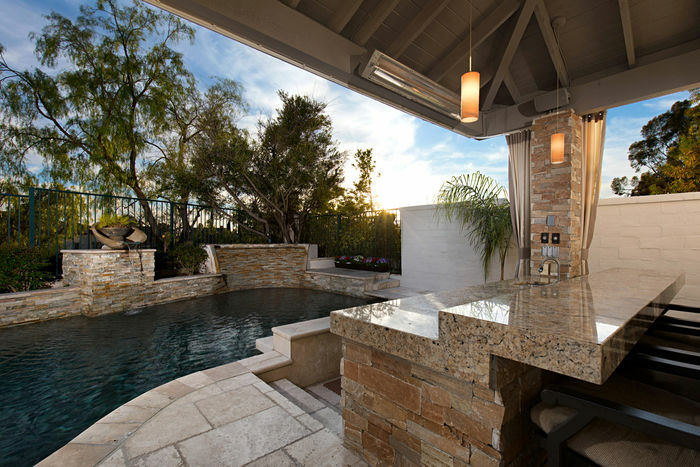 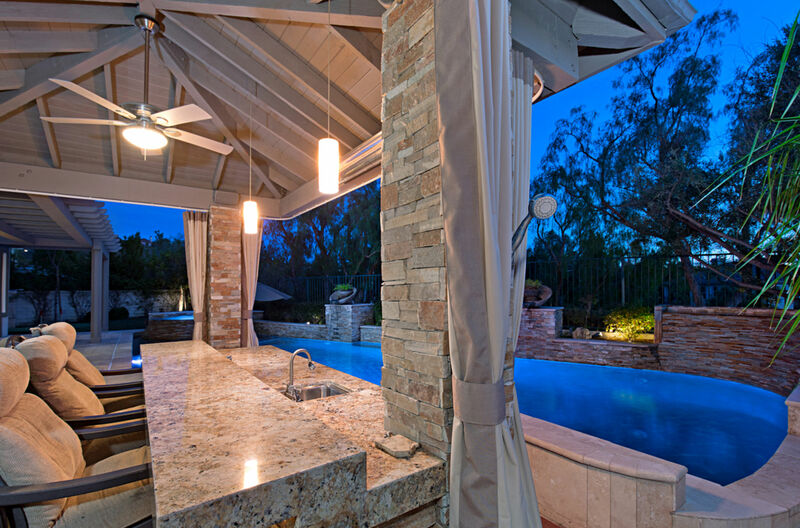 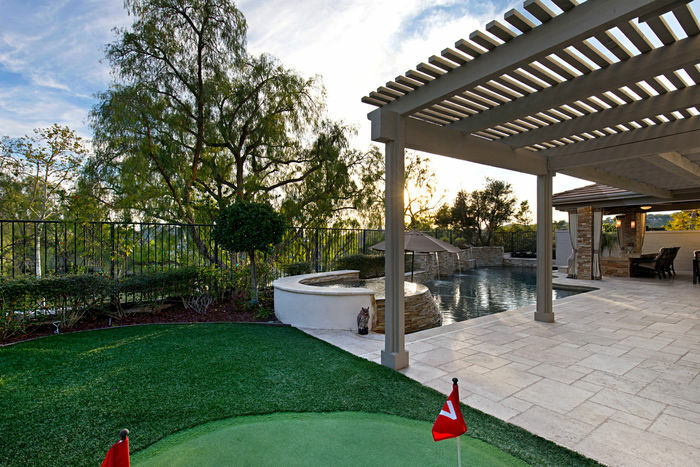 Beautiful custom salt water pool with waterfall features,swim up bar.Putting green on side of house. 3rd car garage has been converted to ’Mancave , great for sports fans,media room, studying or office, could be converted back for 3rd car. Upgraded Solar paneling(for $7,000.savings), whole house fan and whole house water filteration. 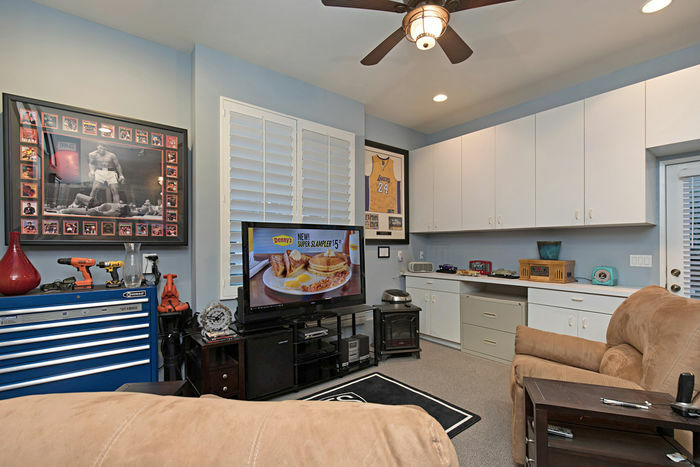 All this situated on a small quiet cul-de-sac. 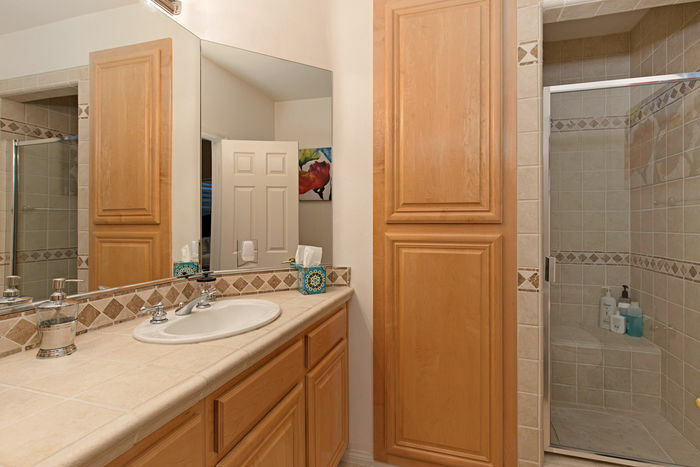 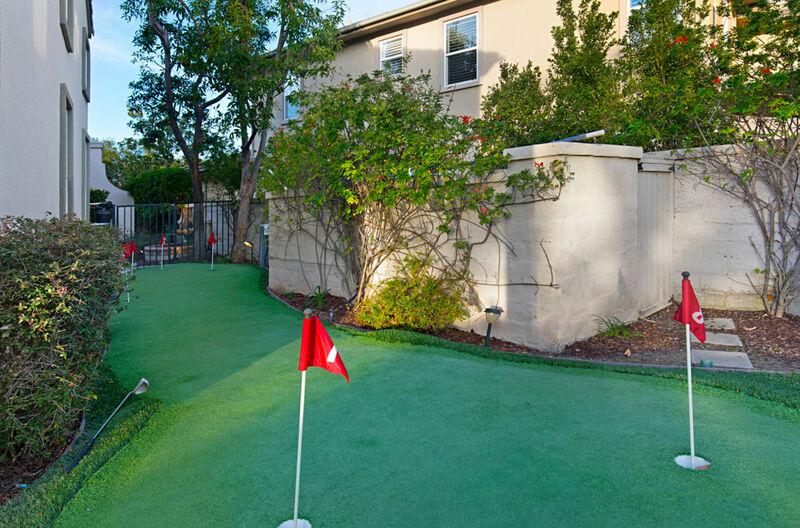 Close to park area and walking trails.